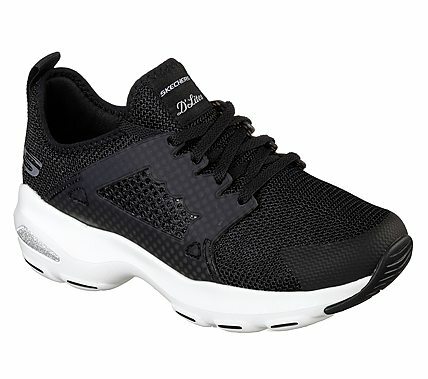 There's always room for sleek sporty style and easy wearing comfort with the SKECHERS D'Lites Ultra - At The Top shoe. Soft woven mesh fabric upper in a lace up sporty walking and training sneaker with nearly seamless design and synthetic overlay accents. Air Cooled Memory Foam insole.